Fuego Volcano erupted in Guatemala today. 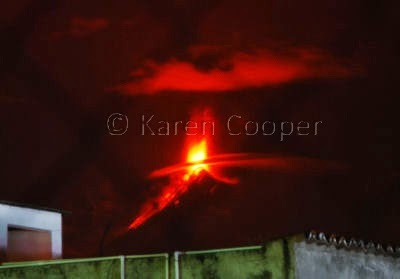 Another shot showing the eruption with lava flows down the side. Some villages at the base of the volcano were evacuated to Antigua. As far as I know these are the first pictures of this eruption on the internet.